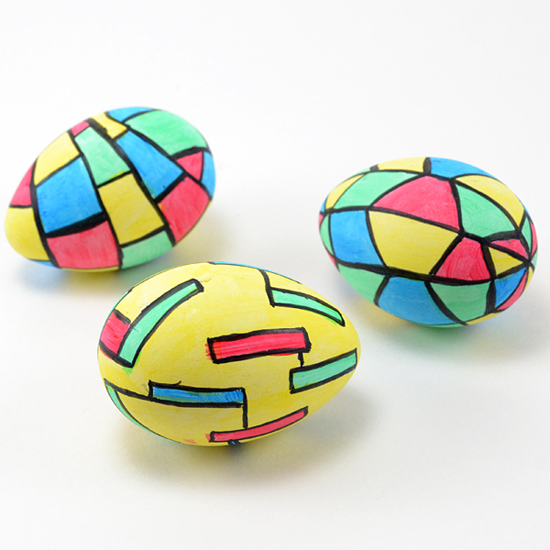 I remember seeing some very fancy stained glass-esque type of Easter Eggs some time ago. They were very expensive and I was afraid to touch them for breaking and then having to purchase shards of glass. 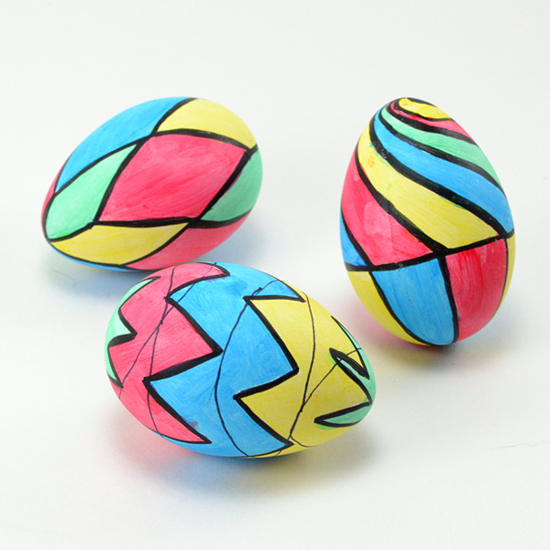 When I found some dye-able plastic eggs at the store it seemed the perfect time to try and fake a dozen! This project is very simple but does take some time. It's a great keep the kids (or adults!) busy project. Plus, it's incredibly inexpensive with the Scribbles® Brush On Paint being reasonably priced at about $3 a set. 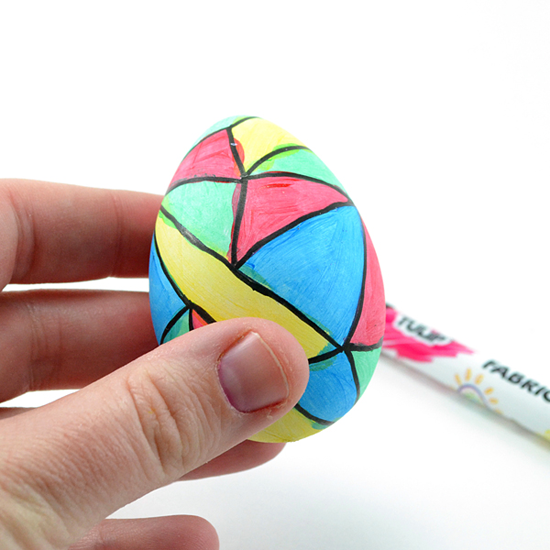 First draw you pattern onto your egg. 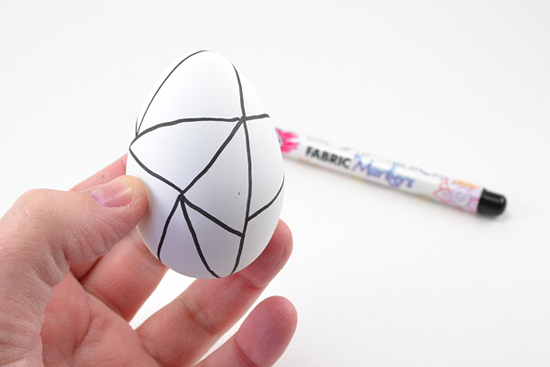 You can use a pencil, thin marker or your fabric marker to draw on these initial lines. We first started with pencils, then became more confident and used thin markers. Eventually we became confident enough in our doodling skills that we went straight to the fatter fabric marker. This eliminates the need to trace the lines at the very end and saves you a step and a bit of time in the long run. 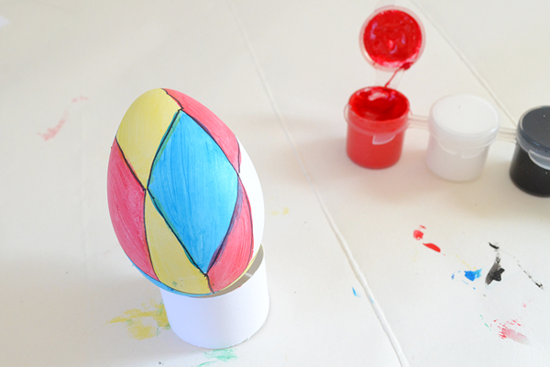 Since the eggs look dyed rather than painted, take a very small amount of paint on your brush and smooth it throughout your shape. 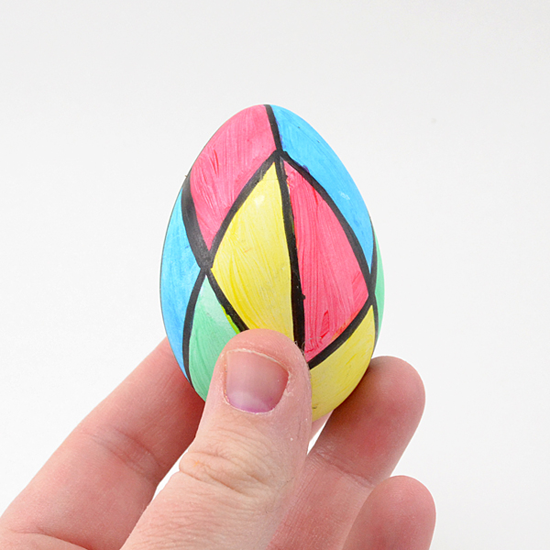 Even in a trace amount, the color stains the egg so you don't need to apply a ton. Besides, that would mess up our effect! 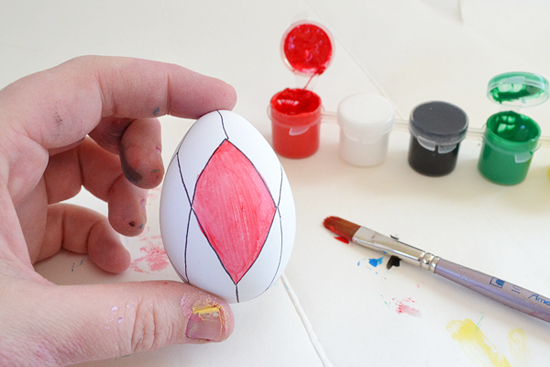 Continue painting your egg with the other colors in your set, allowing to dry frequently to prevent fingerprints in paint all over the place. Since you're only applying a small amount, each will dry very quickly preventing any wait time or delays. Now see that awesome little egg holder I used to keep my egg from drying to my paper protecting my work surface? These are super easy to make! Cut a piece of cardstock down the middle vertically (at the 4.25 inch mark as the paper is 8.5 inches wide). Cut that piece horizontally in about 1 inch pieces. 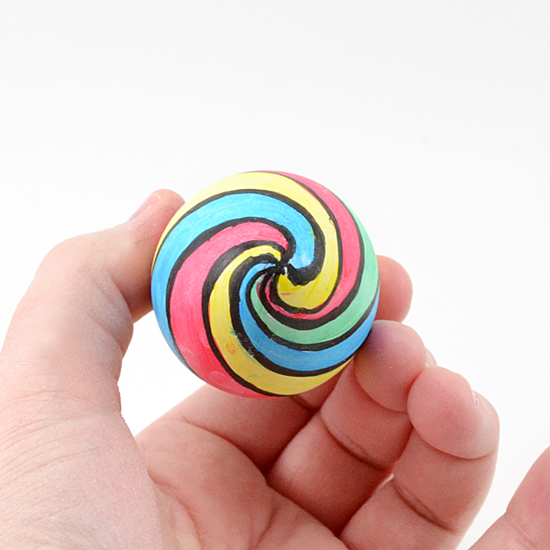 Fold one piece on itself and hold together with tape. Voila! 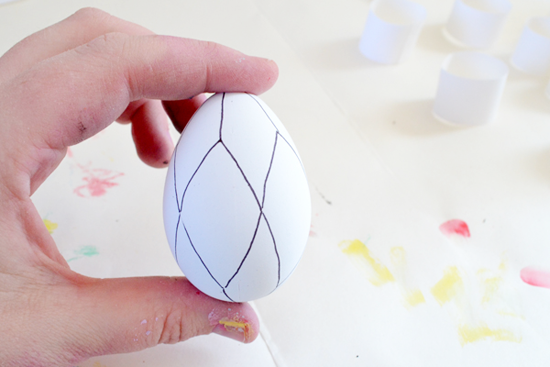 If you choose to you can trace each egg after the paint has dried for sharper lines. 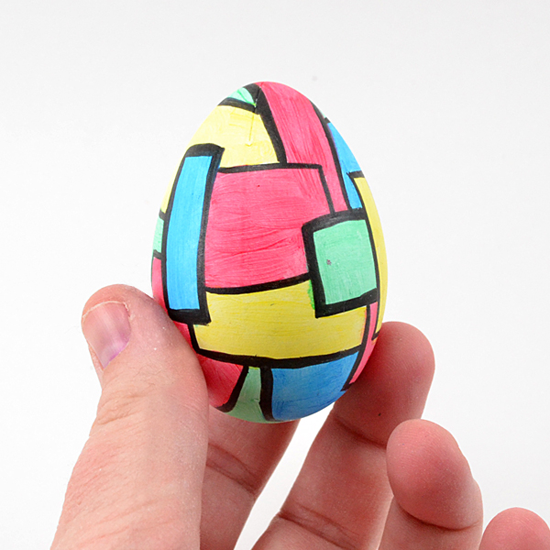 This egg was Mondrian inspired. This one inspired by stained glass windows seen at church. And this one inspired by awesomeness. 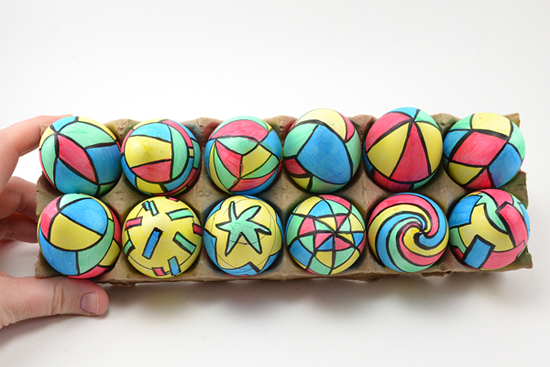 Each egg came out distinctly different and yet they all match and make a wonderful dozen! If you prefer, rather than tracing with a black fabric marker, you can always use the black paint that comes in the Scribbles set for more artistic lines! And there you have it! 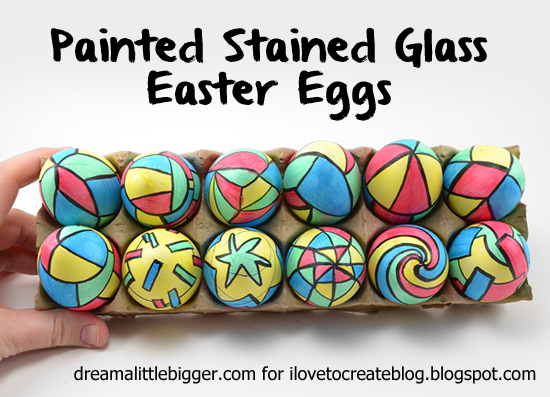 Wonderful stained glass Easter Eggs. Will you be painting up a set? Thanks for reading and feel free to jump on over to my blog Dream a Little Bigger for lots more crafty goodness!